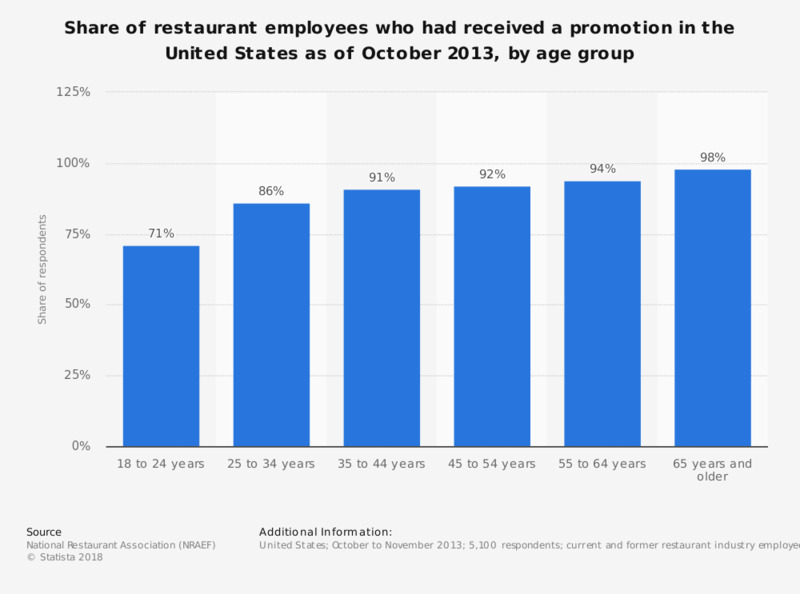 This statistic shows the share of restaurant employees who had received a promotion/been advanced to a higher-paying job in the United States as of October 2013, by age group. During the survey, 91 percent of employees aged between 35 and 44 years had received a promotion. Thinking about the restaurant industry as a whole, do you feel that you have the opportunity for career advancement? How likely is it that you will continue working in the restaurant industry until you retire? Which of the following would you consider to be a promotion when it comes to magazines?